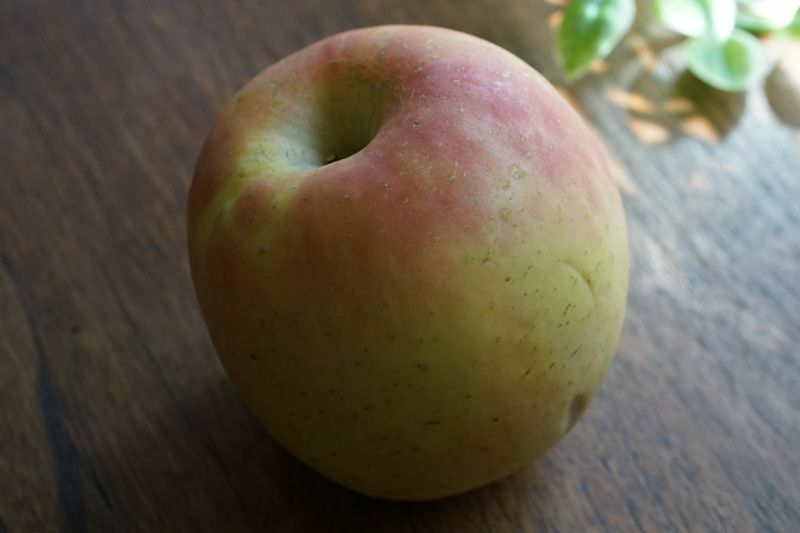 Apples are a fruit from the apple tree (Malus domestica). Interestingly the apply tree is in the rose family. The apple tree originated in Western Asia. The apricot is a fruit born of the Prunus armeniaca. Botanically it is closely related to the plum. Apricots are sweet and juicy and light orange in color. The banana is a fruit of herbaceous flowering plants of the musa genus. They come in yellow, green and red. The banana was first domesticated in Southeast Asia. 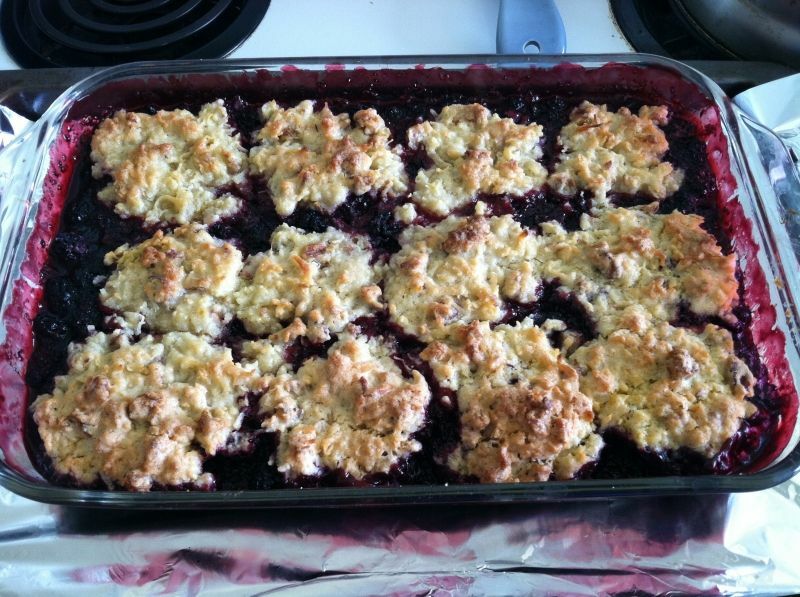 Fresh wild blackberries make the best blackberry cobbler. Bake for 45-50 minutes or until the filling is thick and bubbly and the topping starts to brown. Chana Masala is a spicy vegetarian dish from Northern India. It is mainly garbanzo beans, tomatoes, and spices. 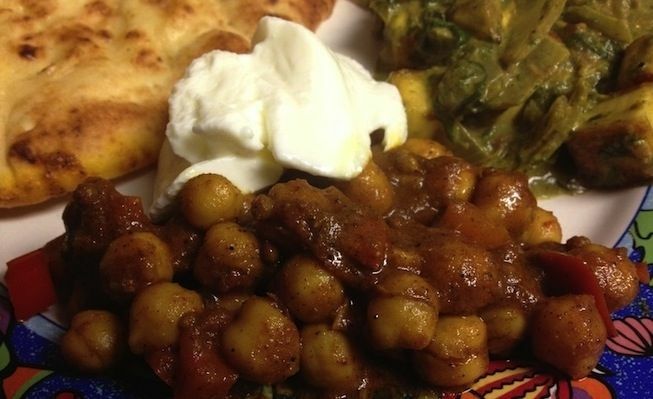 This dish is amazing with yogurt and naan bread. Chantrelle is a delicious fungi found scattered on ground in woods in the temperate zone. 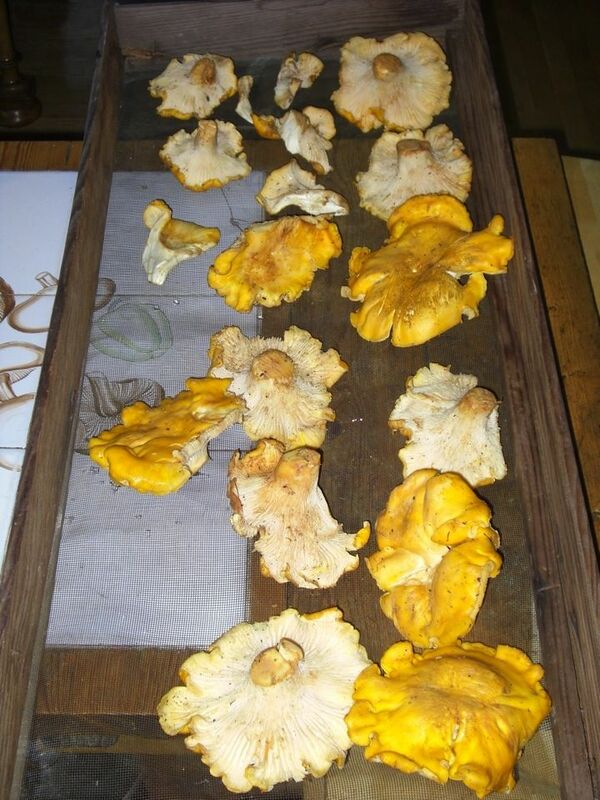 The Cantharellus cibarius shown here is the large orange form. The bean of the coffee tree. A drink is made of ground coffee beans and hot water. This coffee elixir provides caffeine, a stimulant, into the drinker's system. 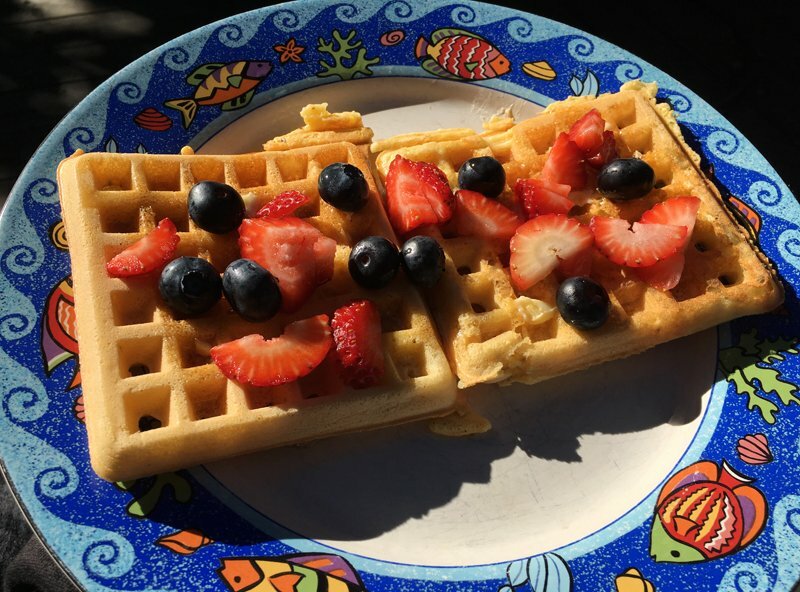 Cornmeal Waffles: Dry ingredients: cornmeal, wheat, baking power, salt, brown sugar. Wet ingredients: milk, oil, eggs yokes & whites. Combine dry & wet & cook! 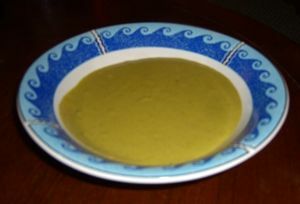 Delicious creamy vegetable soup recipe containing potatoes, onion, celery, carrot, cheese, and broccoli. Sauté, simmer, melt, and puree for a healthy dinner.